German automotive behemoth BMW celebrated its centenary on Monday and to celebrate this momentous occasion, we decided to dig into its history to trace some of the most iconic Bimmers to have been produced. The company has had an illustrious past which resulted in the creation of some exquisite machines in terms of both design and engineering. 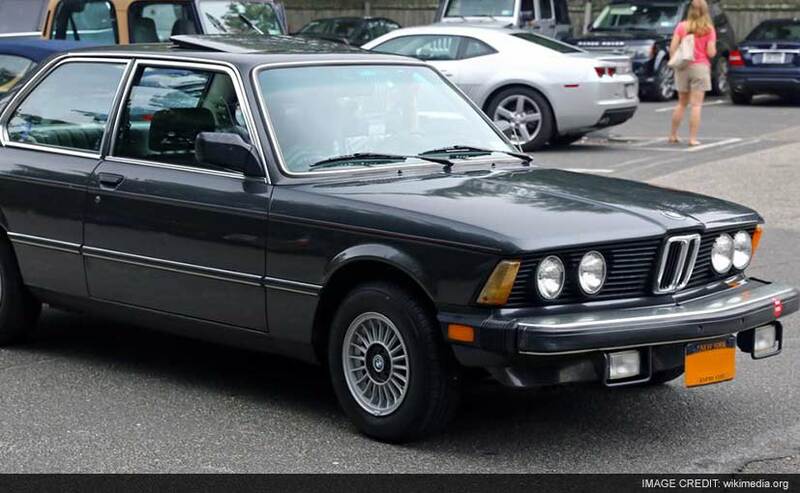 Here’s a glimpse at the top BMW cars to have ever made it to market. Post World War 2, Europe witnessed a sudden demand for affordable microcars that were practical and affordable and sitting atop the list was the Italian designed Isetta which BMW was licensed to manufacture in 1955. Many governments levied lower taxes on cars with small engines and additionally, people with Class IV licenses were allowed to operate motorcycles and tiny cars such as the Isetta. Hence many carmakers jumped onto the bandwagon of making similarly curious looking minicars. BMW’s first iterant called the Isetta 250 was launched in 1955. However by 1956, the updated laws in Germany only allowed small bikes to be riden with the aforementioned class of license. Hence, BMW was able to push the boundary with the Isetta’s engine size without it having to move into a higher tax category. As a result, the BMW Isetta 300 was born. The BMW R35/4 motorcycle-sourced, 1-cylinder, 247cc engine was re-engineered to 298cc which put out 13bhp and 18.4Nm of torque. 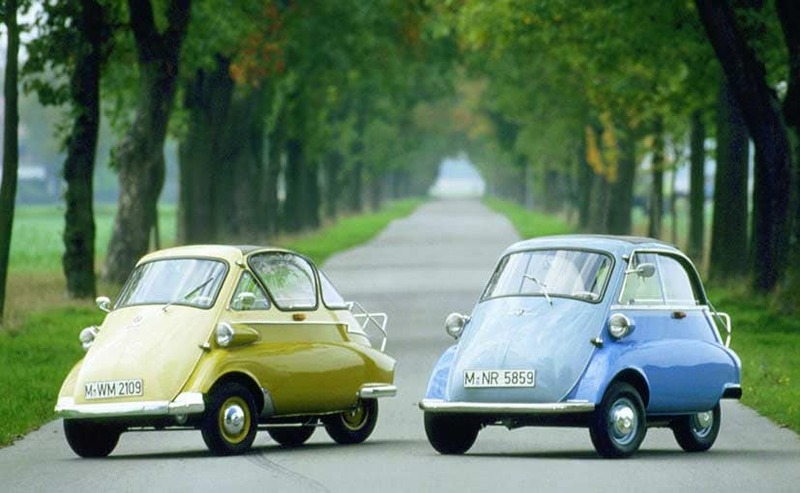 The Isetta 300 also went on to spawn the larger BMW 600 as well as a 3-wheeled version which was sold in the United Kingdom. The Isetta went on to sell over 1.61 lakh units making the ‘Bubble car’ a hot seller at the time. The car was finally discontinued in 1962. At a time when cars were still a luxury item as opposed to the necessity that they’ve become in today’s day and age, BMW manufactured what is widely regarded to be one of the prettiest road cars of all time. The BMW 507 Roadster first rolled off the production line in 1956 when it was created to compete against the equally stunning Mercedes Benz 300SL convertible, the standard hard-top version of which is etched into automotive folklore as the Mercedes Gullwing thanks to its wing-styled doors. 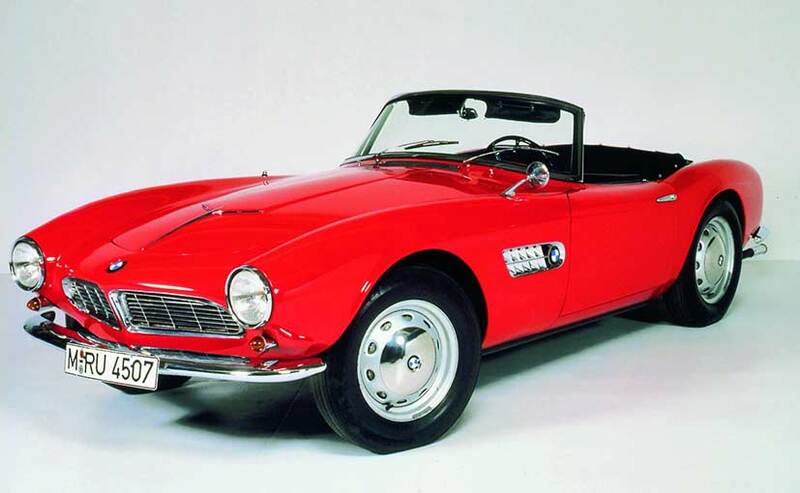 The BMW 507 Roadster came fitted with a V8 engine good for 140bhp. The car was so sought after that even Elvis bought one! Despite its gorgeous design and drive characteristics, the 507 Roadster was a hugely expensive product for the German company to produce and it nearly drove the brand into the ground. Nevertheless, we’re glad that the BMW legacy survived and went from strength to strength to become the carmaking conglomerate that it is today. The 1960’s brought into existence a completely new range of sedans from BMW labelled ‘New Class’ (or ‘Neue Klasse’ in German). After the financial crisis that BMW faced towards the end of the 50’s, the new range of sedans and coupes that it began producing in the following decade came to become a keystone of the brand’s identity as for decades to come, BMW would be known as one of the world’s leading sports sedan manufacturers. The first car to be launched under the New Class range was the 1500 which launched in 1962. This range gradually evolved over time giving rise to the splendid Bertone-designed, BMW 3200CS sports touring coupe in the mid-60’s followed by the creation of the 2000 series towards the end of the decade. The late 60’s established BMW’s dominance in the sports sedan market as cars like the 2000C, 2000CS, 2000 sedan, and sporty 2000TI were well received by driving enthusiasts world over. 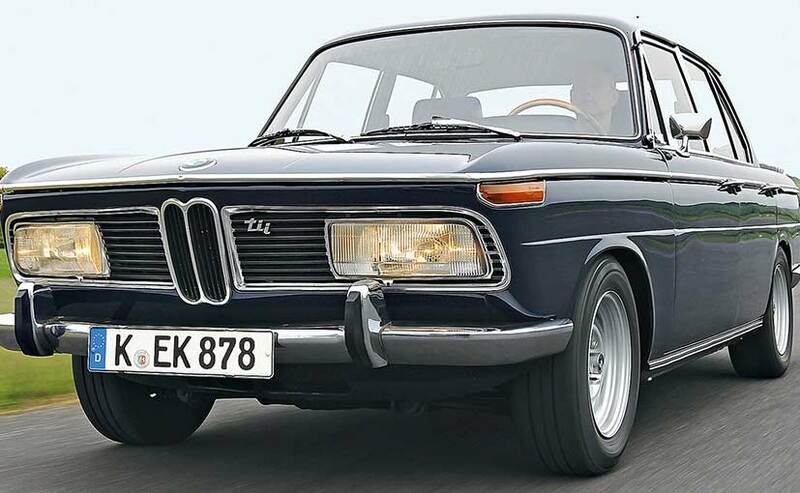 Finally, 1969 saw the birth of the rare BMW 2000 tii (touring international, injected), last of the New Class range of sedans followed by the 1974 BMW 2000 tii Touring hatchback version. 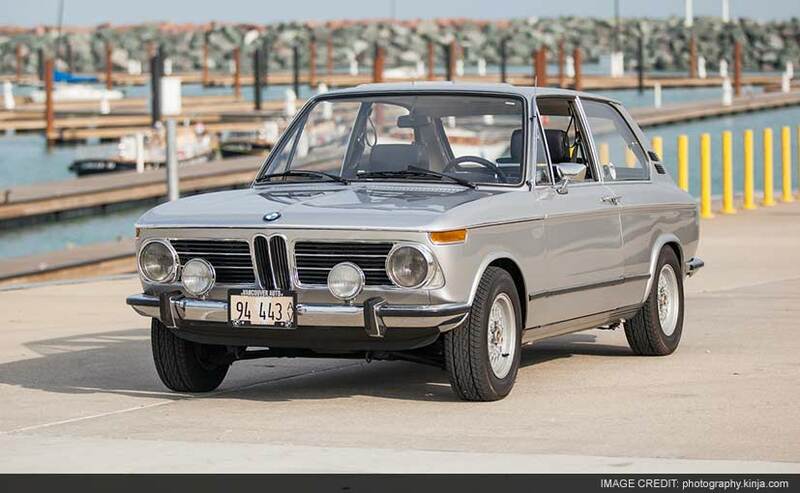 The 2000 tii was BMW’s first fuel injected model, capable of making 130bhp and 178Nm of torque. The car also found its way to America, although its rectangular headlamps were not permitted and had to be replaced with circular units which eventually gave rise to a style identity that can still be found on modern day BMWs. 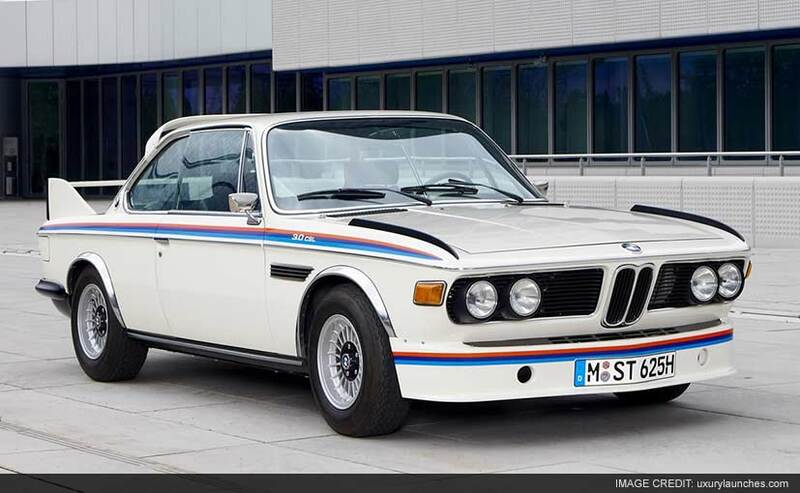 The BMW E9 3.0 CSL came into existence in order for BMW to improve its motorsport presence and improve it, it did! The E9, also called New Six CS, succeeded the New Class range and helped embed the German brand into motorsport history by winning the European Touring Car Championship (ETCC) in 1973 followed by a class victory in Le Mans. In fact, 3.0 CSL (the ‘L’ stands for light) was so successful a race car that it went on to win every single ETCC race from 1975 to 1979. Besides the long list of motorsport accolades, it was also the first model to be used for the BMW Art Car Project. The 3.0-litre engine used was sourced from the 3.0 CS and 3.0 CSi which had replaced the 2800CS in 1971. However, over time, and dependent on the displacement categories in the various touring races that it took part in, the engine size was increased to 3.2-litres in 1973 in order for it to qualify as an ‘over 3-litre’ car. The ’73 edition was also given a full aero package which included a large air dam, fins on the front fenders, a rear spoiler and a tall rear wing, all of which made the car look rather unusual and earned it the nickname of ‘Batmobile’! BMW’s flagship 7 Series sedan began its journey back in 1977 when it was introduced as a replacement to the BMW E3 Large Sedan. The fuel injected variant was equipped with an M30 engine that also did its rounds in the E3 sedan and E9 coupe which were part of the New Six line of cars. The E23 7 Series was available in fuel injected and carburetor form until 1979, which is when the company adopted fuel injection technology for all variants of the 7 Series. At the time, the E23 7 Series was a class apart in terms of luxury and sophistication. Features like ABS, climate control and airbags trickled into its ever lengthening feature-list over time. By 1979, the company had also upped its game in terms of engine technology as the 745i equipped with a 3.2-litre engine was rolled out. The most noticeable aspect was the addition of a turbocharger which enabled the engine to churn out over 250bhp. Over the years, the 7 Series has continued to lead the way in terms of automotive technology as every new version is now known to bring in an array of futuristic facilities that are likely to become common on everyday cars in the future. No longer is the top-spec version of the 7 Series just a luxury super sedan with a bunch of next-gen gizmos thrown into the mix; the discreet car is so popular among VIP customers that currently, the top spec 760Li High Security variant comes with ballistic protection, gas attack protection, fire-proof fuel tank, run-flat tyres, heat sensors to debar missiles, bulletproof shell, etc. The car is so safe, that even Prime Minister Narendra Modi is driven around in one! 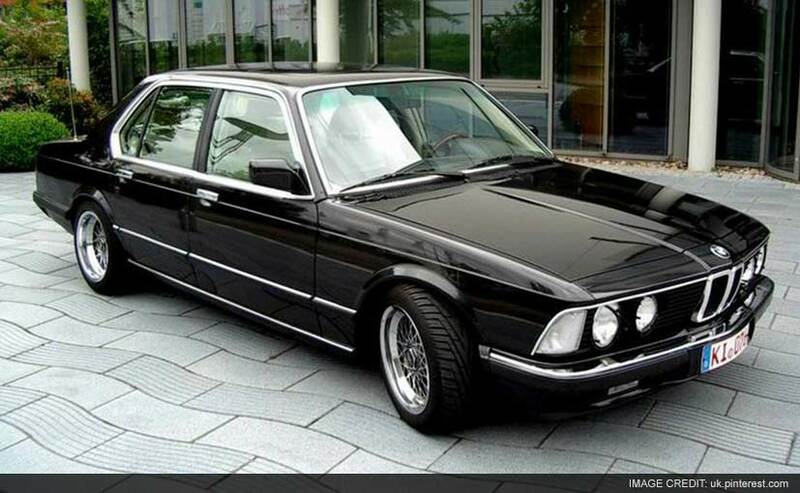 The BMW E21 3 Series was launched in 1975 to carry forward the momentum generated by the 2002 model. It attracted a whole new range of customers as its smaller compact sedan proportions and relatively pocket friendly price tag resulted in it becoming an instant hit. The original 3 Series slotted in just beyond the realms of what was considered to be affordable at the time. As a result, it gave of a whiff of exclusivity, which made people desperate to own one. The 3 Series was originally launched with 4-cylinder engine options although more powerful straight-6 engines were added to its line-up by 1977. The car launched in 3 differently powered variants- the 316 with an 1.6-litre, 89bhp engine, 318 with a 98bhp, 1.8-litre unit, and the range topping 320 which came with a 123bhp, 2.0-litre unit. Between 1975 and 1982, the model received many engine updates including the addition of BMW’s M20 series straight-6 engines, fuel injected variants, and even a smaller 75bhp, 1.6-litre version to battle the oil crisis of 1979-1980. The E21 achieved its first million in sales within its first 6 years and eventually, over its life, has sold an astonishing 12 million units, making it a supremely important product for BMW. 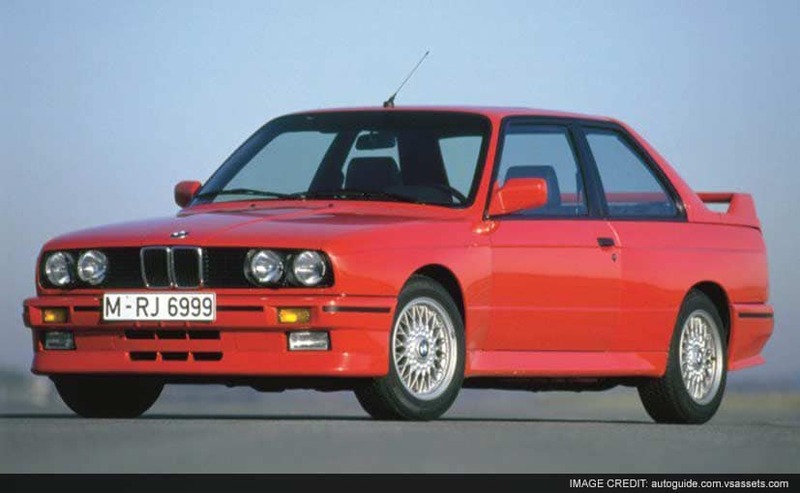 What’s even more important than its success is that it also spawned the incredible E30 M3 that went on to become one of the world’s best high performance luxury compact sedans and in effect, gave rise to the range of M cars that exist today. 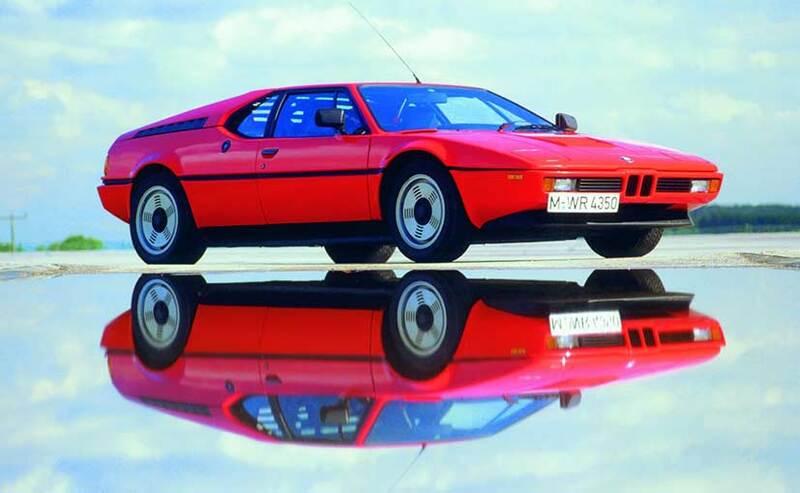 The BMW M1 was the company’s first supercar and it certainly looked the part. It introduced the world to a very important range of performance cars under the M Series as till date, the M logo invokes a sense of primal speed and violent acceleration in the minds of many auto enthusiasts. The BMW M1 is unlike any BMW ever made as its slick looks are more reminiscent of a Lamborghini than a BMW. This was primarily due to the brains behind its design as it was created by great Italian designer, Giorgetto Giugiaro. The 2-seater featured pop-up headlamps, an aerodynamic tapered front end, a mid-engine layout, and a 3.5-litre 6-cylinder engine that made 273bhp. Till this date, it remains the only supercar and the only mid-engined car to ever roll out of a BMW factory. The car was discontinued in 1981 after it was deemed to be a commercial flop; only 453 examples of it found a loving home. When speaking about truly iconic BMWs, this particular model should be a certainty on any petrol head’s list. The first generation BMW E30 M3 is revered due to the legacy that it birthed. The first generation E21 3 Series helped open BMW’s doors to a new target audience which gratefully lapped up the improvements made on the updated E30 variant which launched in 1982. The car was brandished as a sedan with racing heritage and BMW even used it in several race events at the time. Nevertheless, it became popular as a luxury purchase and the company continued to add to its list of comfort features. However, come 1985, BMW’s high-performance M Division was given a go at creating a race-spec version of the E30 3 Series designed specifically for the track and the first BMW M3 was born. 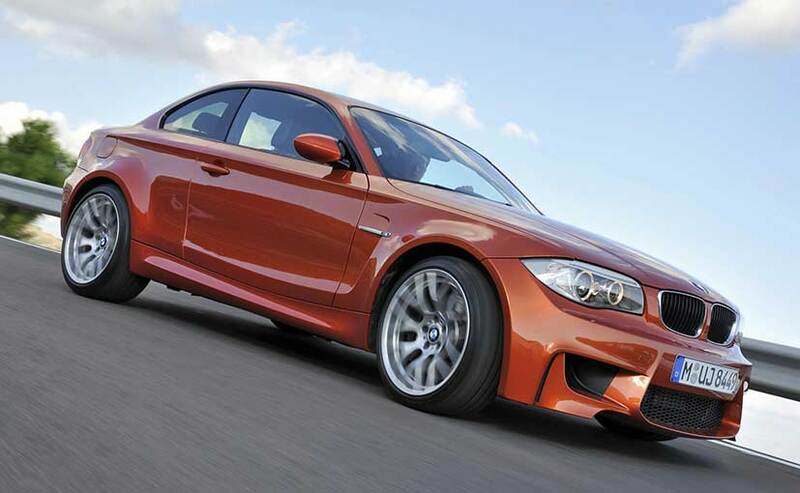 The need for the M3 arose at a time when BMW was aiming at taking on its rivals on the track. Rather than opting for a larger engine, the E30 M3 was fitted with a much lighter, 2.3-litre 4-cylinder high-output engine that was fuel injected. The production version’s engine made 200bhp whereas the race-spec version was tuned to put out an additional 100bhp. Despite its relatively higher cost, the car earned rave reviews. After its launch in 1986, the M3 lived up to its name by conquering a multitude of Touring Car Championships in Europe in the years that followed. By 1991, when the E30 M3 reached the end of its production cycle, the car had already garnered a reputation of being one of the best all-round drivers’ cars. It successfully put the company’s M Division on the map as a dominant force in the field of high-performance luxury sedans. The first generation M3’s immense popularity at the time gave BMW reason enough to expand its M-range of cars over the next couple of decades, much to the delight of motor heads across the planet. And despite the M Division having made numerous noteworthy cars over time, few can match up to the original M3. 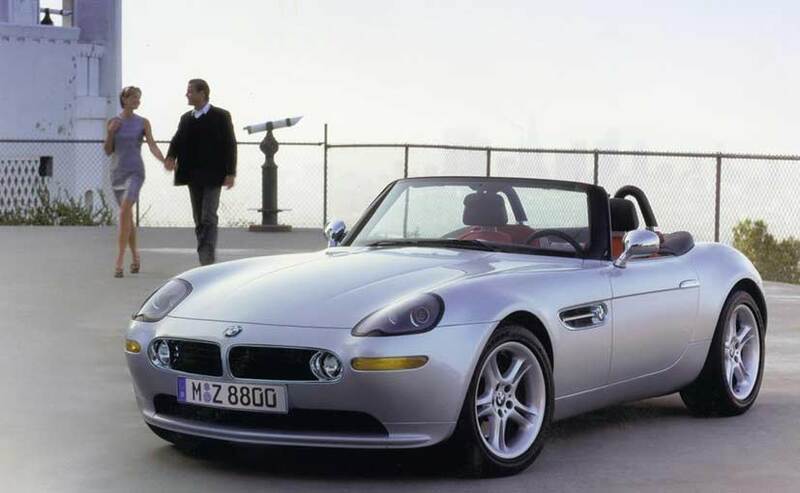 Based on the Z07 Concept which was shown at the 1997 Tokyo Motor Show, the BMW Z8 roadster was ushered into production based on the incredible reception that the concept received. The car came with a powerful 4.9-litre V8 engine that made a blistering 400bhp. The Z8’s pretty design was concocted by the founder of Fisker Automotive, Henrik Fisker, a man best known for designing the stunning Aston Martin DB9 and V8 Vantage after his time at BMW came to an end. The car’s design was derived from the excellent BMW 507 Roadster and included unique design elements such as its enormous bonnet as well as a futuristic aluminium space frame. The Z8 was made to be the ultimate roadster and its performance seemed to fit the bill. Its monstrous V8 could rocket the car from standstill to 100km/h in around 4.7 seconds! The M1 was great, the E30 M3, amazing. Both cars are spoken about to this date not because they were flamboyant to look at or cost the earth, but because they were genuinely incredible to drive. Both M cars left big boots to fill and it took BMW’s M Division nearly 20 years to create another M-branded product worthy of a place in the list of all-time greats. Despite having generated divided opinions regarding its viability, the M Coupe ticked all the right boxes of becoming a modern day legend, upon its creation. In essence, the reason the M Coupe is so incredibly important, is because like the original M3 which set-off the craze of high-performance luxury compact sedans, the 1M Coupe kind of did the same thing, albeit in the 21st century. Over time, the M3 had become bigger, and more powerful, and more luxurious, pushing it into the ‘expensive performance sedan’ category. Hence, the need for an affordable, small, and fun to drive BMW was created yet again. The idea of giving the entry level 1 Series the expensive M treatment, was thought to be a risky one by many, most of whom took back their words once the car was launched. The 1M Coupe was a risk worth taking. Packed with a 3.0-litre engine good for 340bhp and 450Nm of torque, the 3-door coupe was intended to be a limited edition model as BMW had stated that only 2,700 examples would ever be made. However the car was so good to drive, that it generated a huge amount of interest world over. As a result, BMW didn’t stop at 2,700, but instead continued until the number crossed 6,300 units! Known for making discreet yet good looking sedans that blend into the surroundings unobtrusively, BMW surprised the world when it introduced the futuristic BMW i8 plug-in hybrid sports car. With pollution having become a growing cause for concern, the tension among petrol head communities all across the planet was growing; was the world moving away from fast cars? As it turns out, we weren’t. And thank god for that! 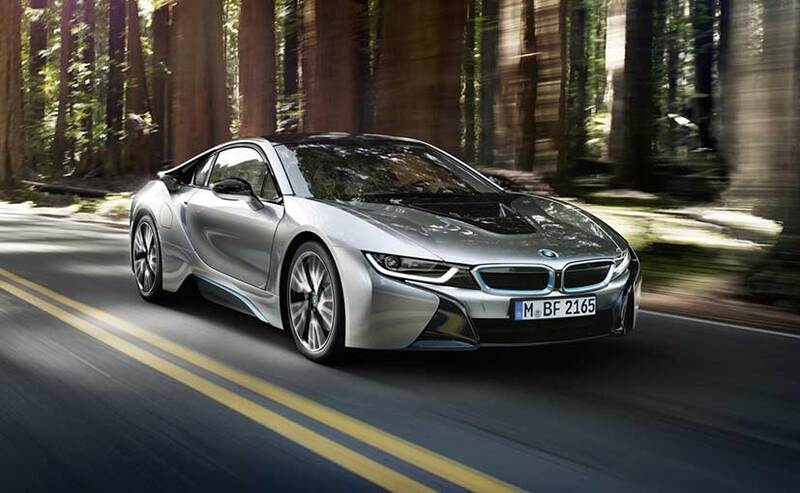 The i8 brought with it a new age of sports cars. Fitted with a titchy 1.5-litre, 3-cylinder turbocharged engine, the i8 broke the confines of what drives a high-performance sports car. No longer are they defined by the size or volume of their engines! Before the i8, hybrid and electric cars were limited to tiny cars like the SMART car or versions of big comfortable vehicles like Toyota Camry Hybrid or the world famous Toyota Prius. The i8 has brought engine technology to the 21st century as a combination of its petrol-powered engine and electric motors give it enough grunt to do a 0-100km/h sprint in just 4.4 seconds! The 131bhp electric motor sits on the front axle whereas the 231bhp, 320Nm TwinPower Turbo engine drives the rear axle. The car isn’t unique just because it’s an exceptionally fast plug-in hybrid. It looks spectacular as well. 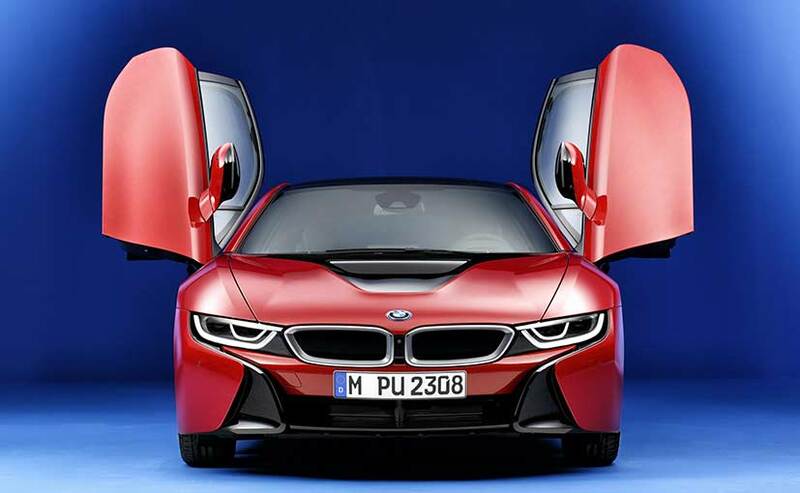 Its profile possesses design traits from the legendary M1 supercar although by no means does the i8 look outdated! Its lovely scissor doors, high-tech head- and tail-lamps, futuristic cockpit, and multitude of contrast design lines and paint work, all point towards what a car from the future should look like. And the icing on the cake: a jaw dropping fuel economy of 47km/l!